I am about to share with you two of the most important things about good youth ministry, so read all the way to the end. I know, I know. Probably 90% of you reading this live in places where school has been out for several weeks. But here in New York we find that keeping our kids in school for half of the summer is benef … no, wait, is utterly ridiculous! But, for (I am certain) politically-motivated financial reasons, most of our students are still in school. Last year my good friend Laurie Bolton sent me an idea that she did with her students that I knew instantly I wanted to do. 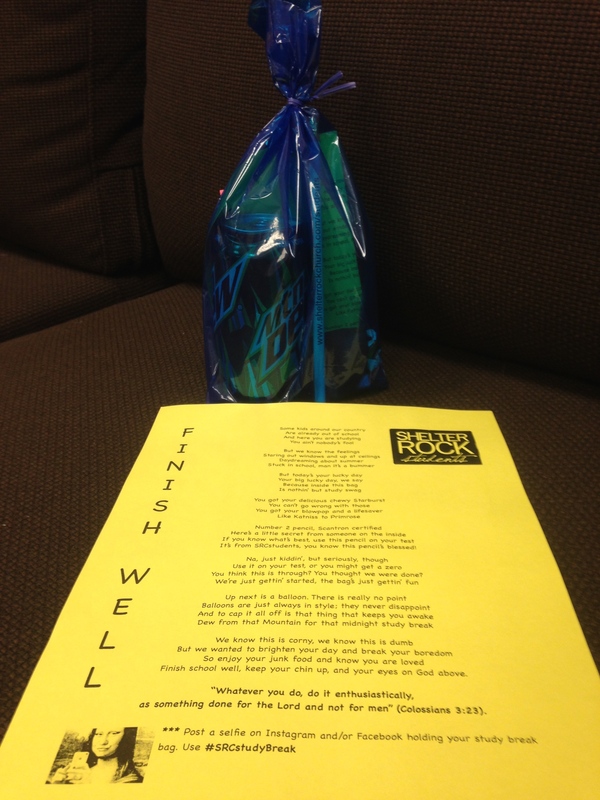 She delivered “study break” goodie bags to her students while they were in finals week. 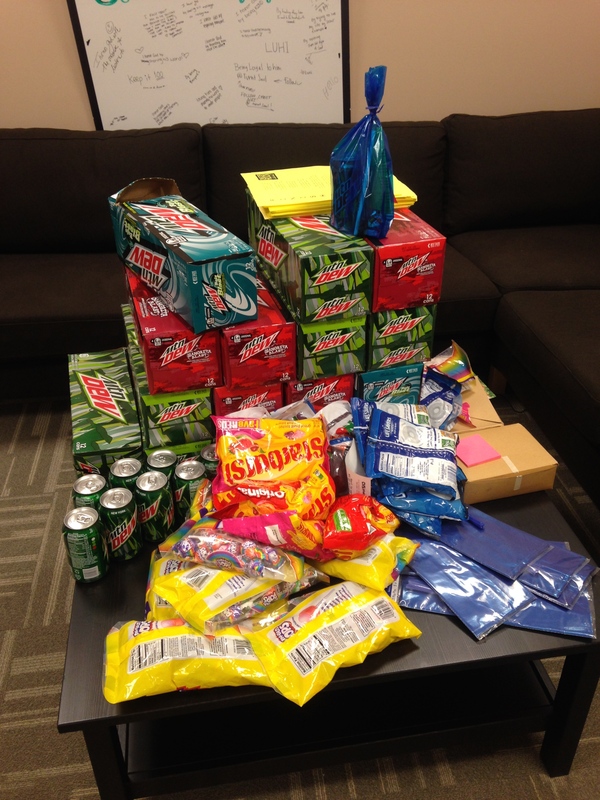 So, this year I went out and bought lots of junk food and little goodies, wrote a poem; we bagged them up, and divvied them up by zip codes among our team of awesome adult youth leaders who delivered the surprises to unsuspecting students. This, we called Operation Finish Well. It was awesome! This whole operation highlighted two hallmarks of good youth ministry. 1) Stealing ideas, and 2) Junk food. Feel free to re-steal (But give Laurie props for the idea! ).